Where to eat and to entertain in Biograd? 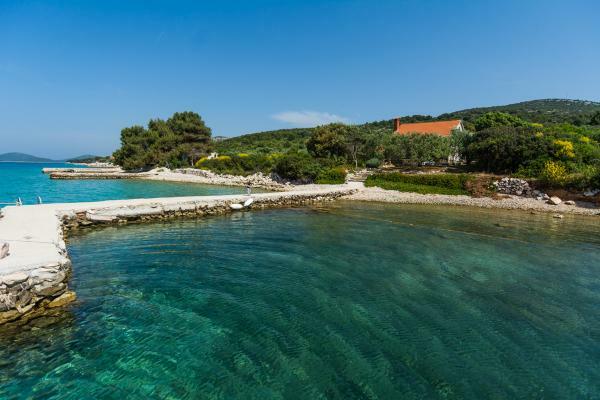 Holiday house Sage is placed directly on the sea on the Pasman island, which is on only about 1,5 km distance from the mainland and Biograd na moru. The ferry on this line goes more then ten times a day, and it is travelling about 20 min. This island is a great destination for all water sports lovers. Additionally, there are walking, cycling and trekking trails on the island, starting from this house, along which various kinds of Mediterranean healing and aromatic herbs can be found - perfect for all nature enthusiasts. This holiday house is to rent the whole year through. This holiday house is accessible by car to about 200m distance (where there is a free and open parking place) by a makeshift road that crosses the island hills, on a makeshift road over the hill, that can be affected by weather conditions. For this reason, these roads are not recommended for lowered cars, but that does not mean that you necessarily have to have an SUV or a four-wheeler. These roads are passable for a normal car, with slow and careful driving. The advantage of having your car by the house is that you may easily go on trips and explore not only the immediate, but also the wider area, with many various possibilities for interesting excursions. Ferry tickets are not included in the price. You may also choose to leave your car (one car per group) on a free and secure parking in Biograd na moru, on the mainland. Transfer from this parking place to the house once upon arrival and back to the car once at the end of your stay is also free of charge. In the booking process please inform us if you choose an access by your own car or the service of transfer. A fresh water reservoir holds 20.000 l, and 12 V electricity is solar powered. The water and electricity should be spent here sparingly. This water is originally tap water, but as it is staying in the tank in hot weather, we recommend it to be boiled before drinking, or that the users of accommodation would purchase bottled water for drinking. Running cold and warm water is installed in the bathroom and the kitchen. 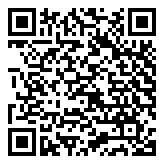 Bring along your cell phone, so you can contact us in case of need. You may recharge your mobile phone in the house, with your recharger that you also use in your car. Guests can have WiFi internet in the house with a purchase of a prepaid card that costs around EUR 11 for a week of flat rate internet. The device for which this card is purchased works as a hot spot. This waterfront house to rent has three bedrooms, each with a queen bed, so it offers comfortable stay for up to 6 persons. The kitchen is equipped with a refrigerator and a stove, running on gas, as well as with cookware, crockery and cutlery. There is a fireplace in the living room. Bed linens are prepared for you, fresh ones arrives once a week. Bathroom and beach towels please bring your own. The built barbecue is on the terrace. Minimum stay is 7 days, from Saturday to Saturday only. Rentals during winter are possible, please note that water can only get heated on the stove, and heating materials will create an extra cost. Kindly note that it is not accepted to bring pets to this house. There is the possibility to rent a motorboat (on request, and provided that the client owns an acknowledged boat driver´s license). Kindly check in during the morning till early afternoon at our agency, because the transfer and the arrival to the reserved accommodation unit is very inconvenient at night. After the check-in in our agency you will travel to the island. If you find these details unclear or you have any further questions for which answers can not be found here, please contact us. The Agency can not be held responsible if the customer does not inquire for the details that are important to him but are not mentioned, or for details of the object which are out of any reason not completely clear to the customer. Regular ferry lines more then 10 times a day from Biograd na moru to Tkon, the ferry travels less then 20min. Time table and prices are available on http://www.jadrolinija.hr/en/ferry-croatia, and on inquiry our staff would gladly inform you as well. Developed by: Nove vibracije d.o.o.